is brown with a pearly-light anterior dorsal shield. but do not attach; they can be showered off. at the edges of the shield. and domestic mammals, including man. strip of wood at the back for weight. All stages of ticks attach to the flannel. in each county in the United States. been successful in attracting ticks. 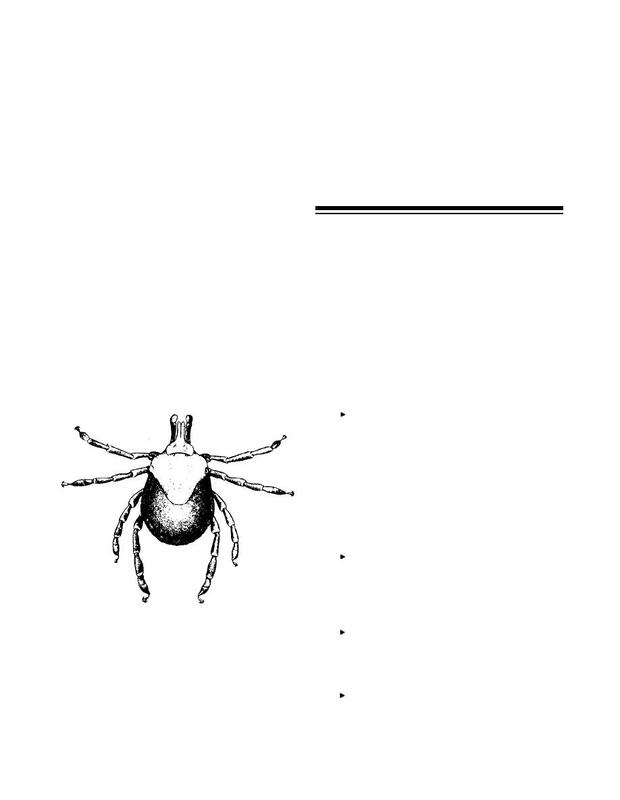 ticks to ascertain their level of infection. prolific, often producing more than 6,000 eggs. three stages of the Lone Star tick will attack man.